"This is Safe Haven Refugee Camp. Can anyone hear me? …hello? Is anyone out there? The end of the world has given us a harsh, merciless existence, where nature tries hard to push mankind to the very brink of extinction. Everything is against us, between us... Untold miles of lawless, apocalyptic roads wait for our feet, and the future, cold and dark, offers little comfort. Without change, there can be no peace. 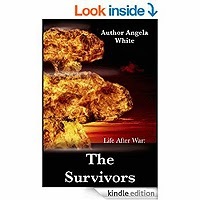 Only survivors.” From dangerous trips into dark, apocalyptic cities, to patriotic rescues and furious revelations, Life After War is an action-packed fantasy series where those left alive must come to terms with their mistakes in the old world, while fighting for a place in the new one. Life After War. Magic and Reality blended into a post-apocalyptic fantasy series that you won't ever forget.